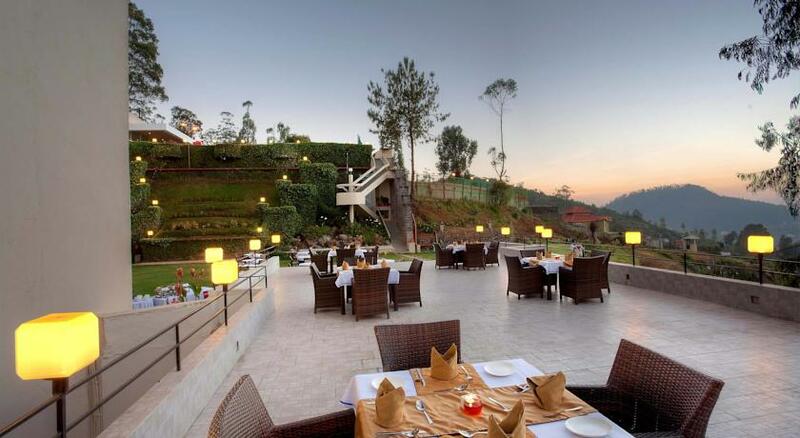 Located at around 8000 feet above the sea level, enveloped by the clouds is the Sinclairs Retreat in Ooty. 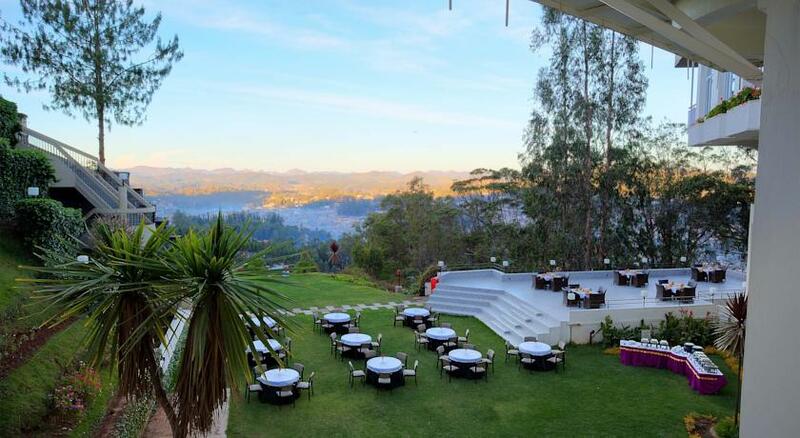 It is the highest located resort in the mountains of South India and provides a majestic view of the Nilgiri Hills aside the pristine forest area with eucalyptus trees all over. Offering an ideal retreat to the honeymooners, tourists and all those who wish to spend some relaxing time in the laps of the nature, this resort offers three kinds of accommodation options. Looking to satisfy the child in you? 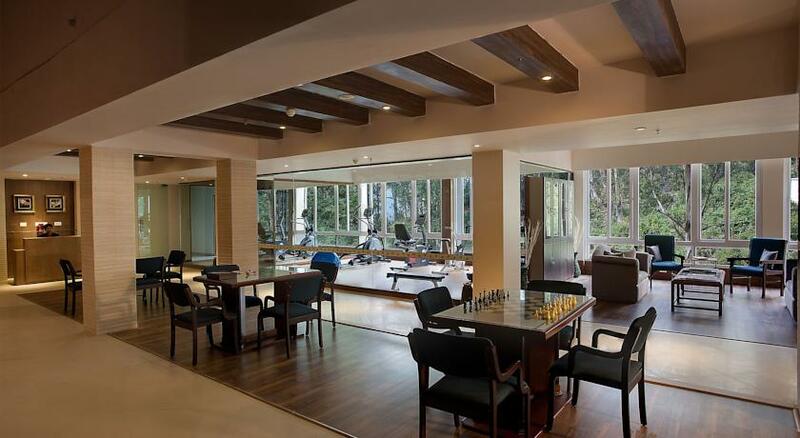 Well, the recreation center at the resort provides ample of options like pool table, badminton, video and board games, lounge and library etc. 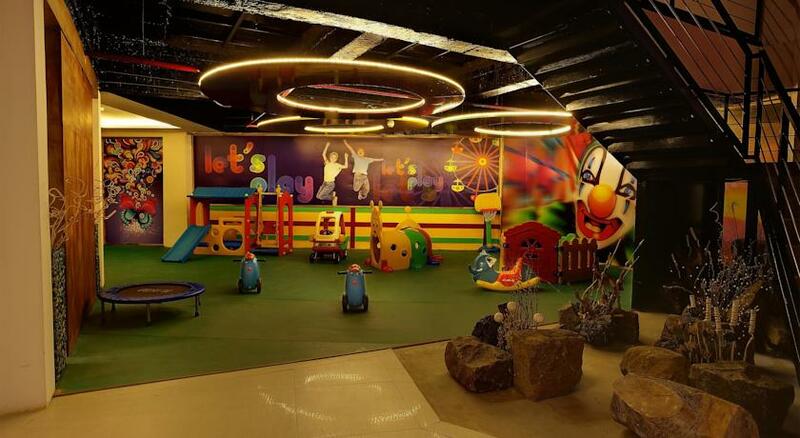 Apart from that total rejuvenation is promised by the Gymnasium with steam and sauna and fitness center that is laden with all essential equipment. 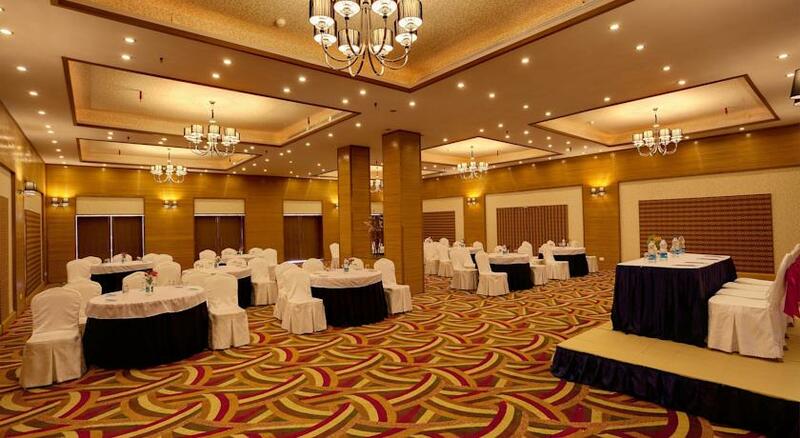 For the corporate travelers, the hotel encompasses fully qualified conference venues that come equipped with all the latest amenities for a successful business meeting, conference and more. 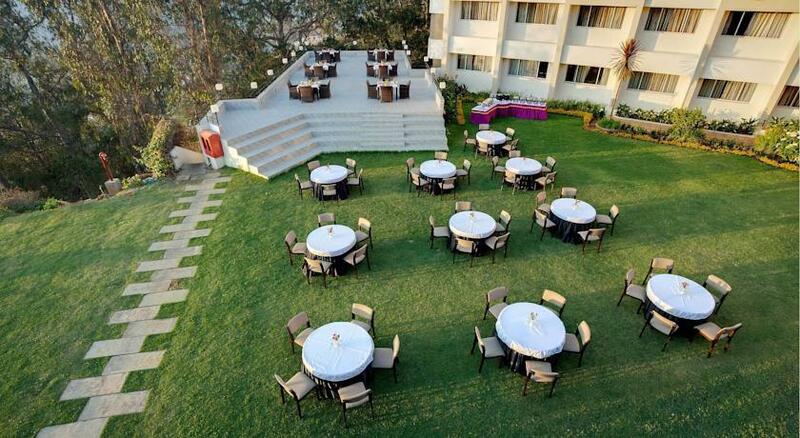 And if you wish to hold a social get-together or organize a wedding, then opt for the outdoor spaces available in the resort. For the ones who wish to explore the city at their own pace, the travel desk available at the hotel can make all necessary arrangements. Other facilities include internet access, car parking with valet services, bonfire, laundry, adventure and team building activities and more. 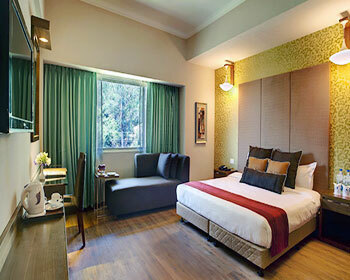 The forest facing Deluxe Rooms at Hotel Sinclairsoffers comfortable king size or twin beds to the guests. 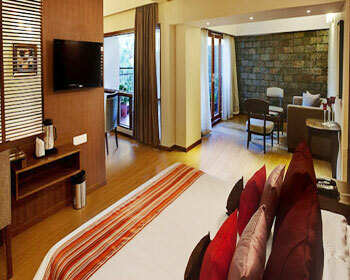 They are well designed and perfectly furnished to make your stay as comfortable and lavish as possible. The attached bathroom with running hot and cold water along with premium toilet amenities is available at the guest’s disposal. Some of the state of the art amenities available in the rooms that make your vacation worthwhile include 32 inch LCD TV with satellite channels, Tea/Coffee maker with complimentary sachets of tea and coffee, safe deposit locker in the room, study desk with lamp, direct dial telephone with STD and ISD facility, daily housekeeping, round the clock room service and more. If you are one of those people who do not wish to compromise on the comfort without spending much, then the Deluxe Rooms are perfect options for you. The valley facing Premier Rooms at Hotel Sinclairsserve as a wonderful stay option for all those who wish to enjoy their vacations to the maximum. Apart from the contemporary design blended with the traditional artifacts, these rooms offer state of the art amenities to all those who choose to stay in them. 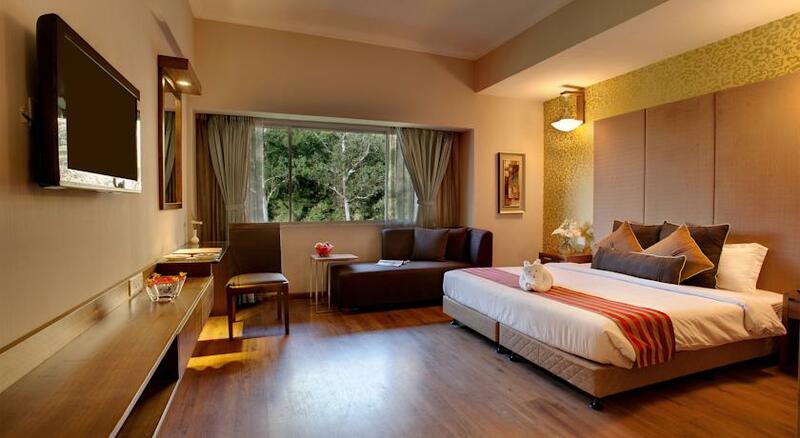 The room has a comfortable king size bed or twin beds for a relaxing night’s sleep. Also available are a 32 inch LCD television with satellite channels, writing table with chair, electronic safe for keeping your valuables, attached bathroom with branded toiletries, direct dial telephone with STD and ISD facility, round the clock room service, Tea/coffee maker and daily housekeeping. 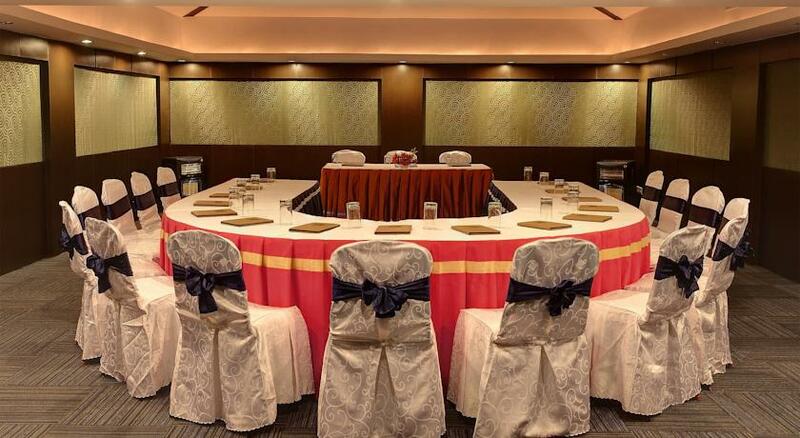 All your in-room dining needs are also taken care of by the well trained hospitable staff of the hotel. If you are in Ooty and looking for a luxurious place to stay, then nothing can be better than the Superior Rooms at Hotel Sinclairs. These rooms are designed with exceptionally good furniture and furnishings and the décor is contemporary. Over and above, you will get the taste of the unparalleled traditional charm too which is available in the form of the various artifacts that are exhibited in the rooms. 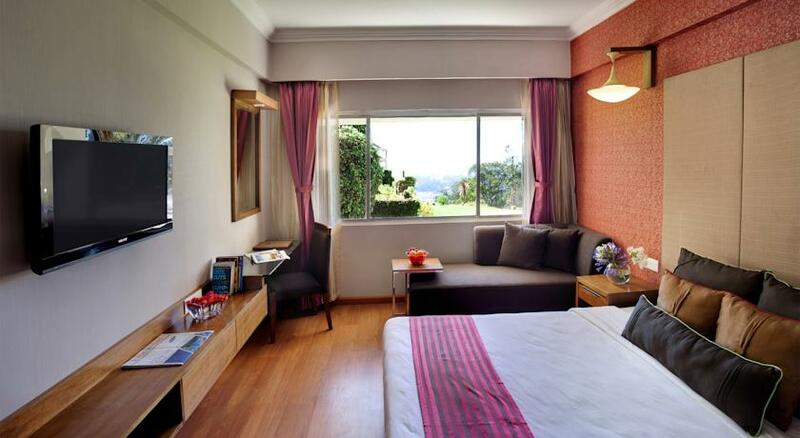 As soon as you enter the room, you will be welcomed by a comfortable double bed. 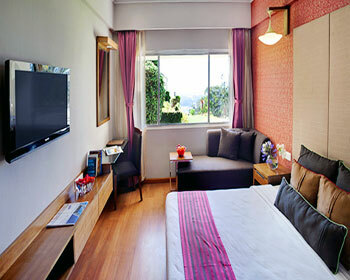 The other state of the art amenities available in these rooms include telephone facility with direct dial STD and ISD. LCD TV with satellite channels, electronic safe, writing table, attached bathroom with running hot and cold water supply, branded toiletries, 24 hour room service, daily housekeeping, Tea/coffee maker, mini bar with select beverages and more. 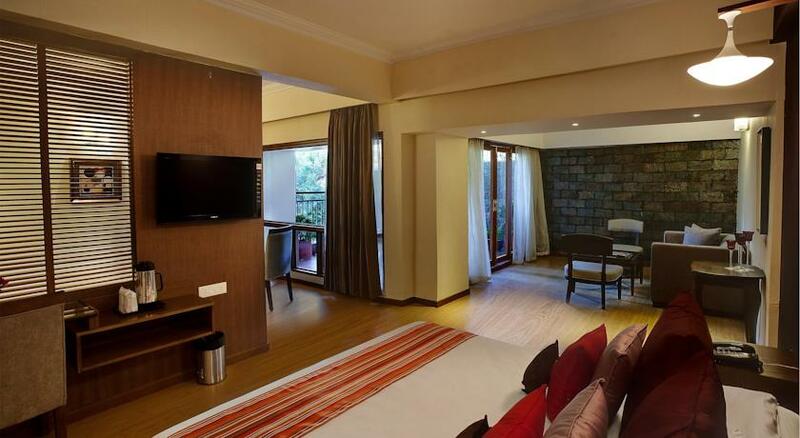 Overlooking the Ooty Valley and the Blue Mountains, the luxurious and spacious Deluxe Suites are as inviting as they can be for both the vacationers and corporate people. 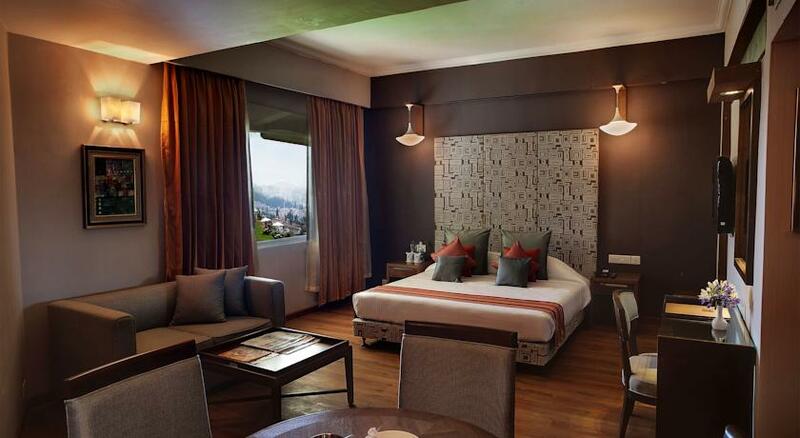 Decorated with contemporary fixtures and fittings, these suites speak volumes of world class amenities that make them the best possible option for an exalted stay in Ooty. Some of the facilities and amenities that you can make use of in these suites are large LCD TV with satellite channels, en-suite bathroom with branded toiletries and running supply of hot and cold water, direct dial telephone with STD and ISD option, inviting and comfortable double bed, sofa set with center table, study desk with chair, in room tea/coffee maker with complimentary sachets of the same, electronic safe for keeping valuables, daily newspaper, housekeeping, in room dining, round the clock room service, fruit basket and more. 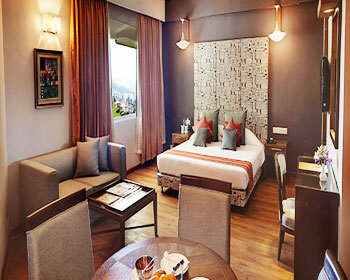 Nothing can provide more luxurious stay and amazing world class amenities than the Nilgiri Suites at Hotel Sinclairs. Epitome of comfort and luxury, these suites have unparalleled contemporary décor and styling that will steal your heart away, at times, wishing that you could stay on and on! Perfectly matching the needs and requirements of the ones who just cannot compromise of lavishness; these suites boast of style all over. As soon as you enter the room, a warm and comfortable king size bed welcomes you. Just across the bed is the 32” LCD TV that offers all satellite channels and a DVD player to run your favorite movies, shows and more. Also available is the en-suite bathroom that comes with four fixture fittings, complimentary premium toiletries and running hot and cold water. The other state of the art amenities available at your disposal include direct dial telephone facility, Tea/coffee maker with complimentary sachets, sofa seating arrangement, study desk and chair, electronic safe to keep all your valuables apart from the regular daily housekeeping and round the clock room service. One of the added advantages available with this suite is a private deck from where you can enjoy nature’s bounty in the nearby forest. 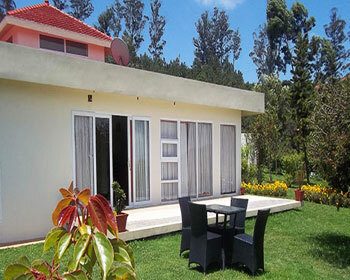 Located just adjacent to the hotel, the Harsha Villas are extremely popular with the families visiting Ooty. These villas have 3 bedrooms and can easily accommodate four adults and four children or six adults. 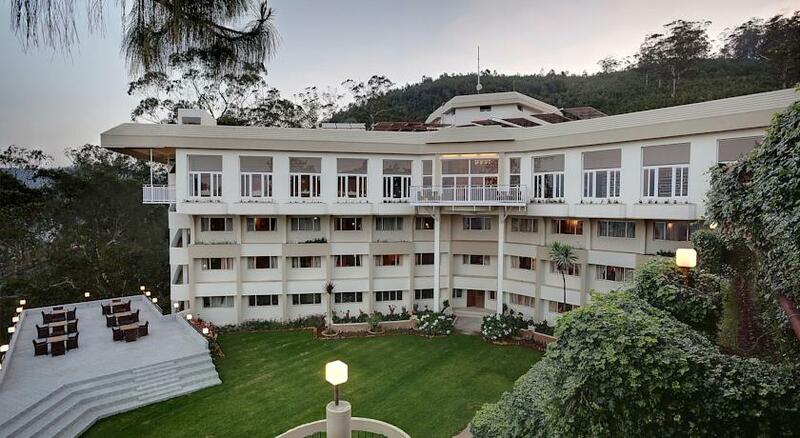 The lavishness, the exclusivity and the imported European furniture is something that one would not like to miss when on a vacation at the Queen of Hills, Ooty. The villa offers state of the art facilities and amenities to pamper all the guests who enroll here. All the bedrooms have a comfortable double bed. Each room has an attached bathroom with complimentary premium toiletries and running hot and cold water supply. The other amenities available here include a large LCD TV in each room with Dish antenna, lively living area, garden set in Patio to enjoy the natural beauty, sofa set, parking facility for your vehicle. You are free to cook and relish the delicacies in the attached kitchen that comes equipped with all the needed crockery and cutlery and the required electrical devices like the refrigerator and microwave. To stay connected with the rest of the world, the villas provide uninterrupted internet access, telephone facility with STD and ISD and more. 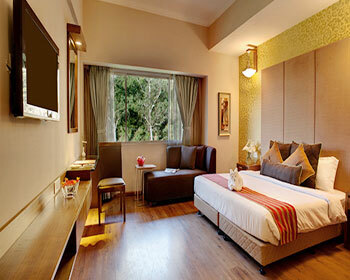 If you are looking for uncompromised comfort and lavish stay, then Harsha Villas is the place to stay. The Pine n’ Petals restaurant is a multi-cuisine restaurant at Hotel Sinclairs that is located at the lobby level. It serves mouth-watering delicacies out of the choicest multi-cultural and choicest Continental and traditional South-Indian recipes. The guests can treat themselves with a wide selection of options available for breakfast, lunch and dinner. The cozy ambiance, warm service and family friendly spirit will make each meal of yours truly memorable. The restaurant stays open from 7.30 AM to 10.30 PM. 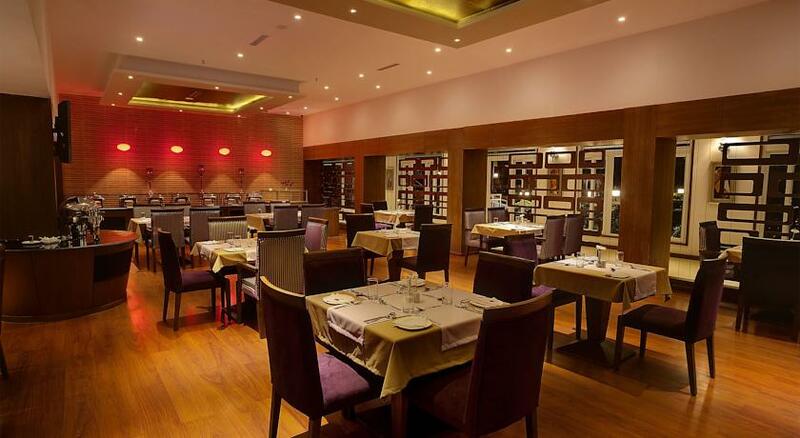 Dress up in smart casuals and enjoy your meal at this multi-cuisine restaurant. Order through appetizers, main course and desserts at this restaurant and make every meal an exclusive one. Dressed up in Spanish style, the Alto Espirito Bar is a perfect place to unwind and relax through the day and night. Catchy Spanish tunes playing in the background add to the mood of the entirely Spanish décor. Sink your teeth into delectable Spanish sacks while you sip amazing cocktails. Also available are varieties of malts, whiskeys, mocktails and more to add zeal and catch your fancy. Open for 12 hours from 11 AM to 11 PM, this Bar is a must visit place if you enjoy exotic drinks and relish the Spanish culture. Dress up in smart casuals. If you need some mid-day refresher or suffer from untimely hunger pangs, then head straight to The Portico, coffee shop at Hotel Sinclairs. It has been developed especially for the business guests and other travelers who are always on the move and need a quick bite at any time of the day. An array of hot and cold beverages including varieties of tea and coffee are served here to keep the guests refreshed through all times. 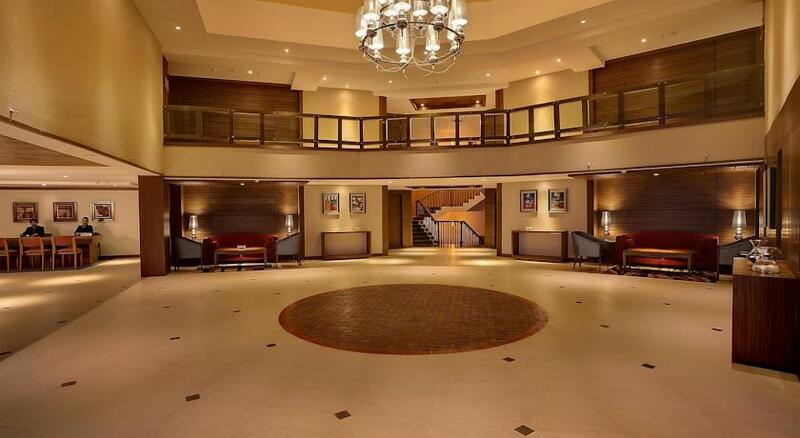 The delightful décor and the perfect sitting arrangement available at The Portico are very pleasing and inviting. 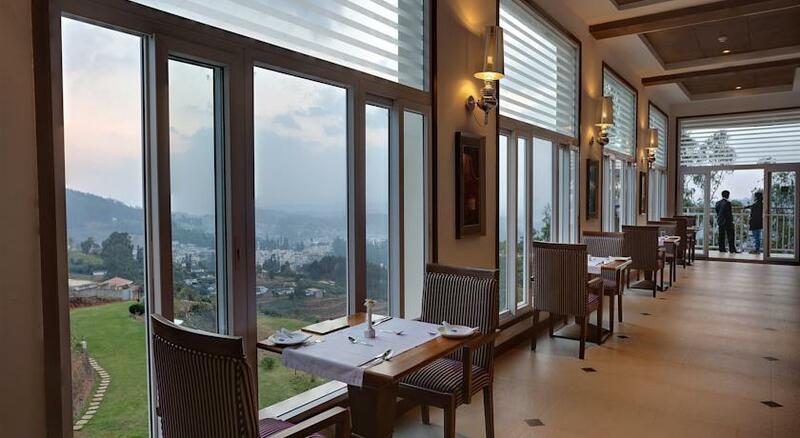 Delicious treats from the hotel’s in-house bakery can be relished with Nilgiri Hills at the backdrop. It stays open from 8 AM to 8 PM and you can enjoy a wide variety of finger foods and light snacks. Dress up in smart casuals.